This post will stay on top until 30th June 2011. Please scroll down to see recent posts. 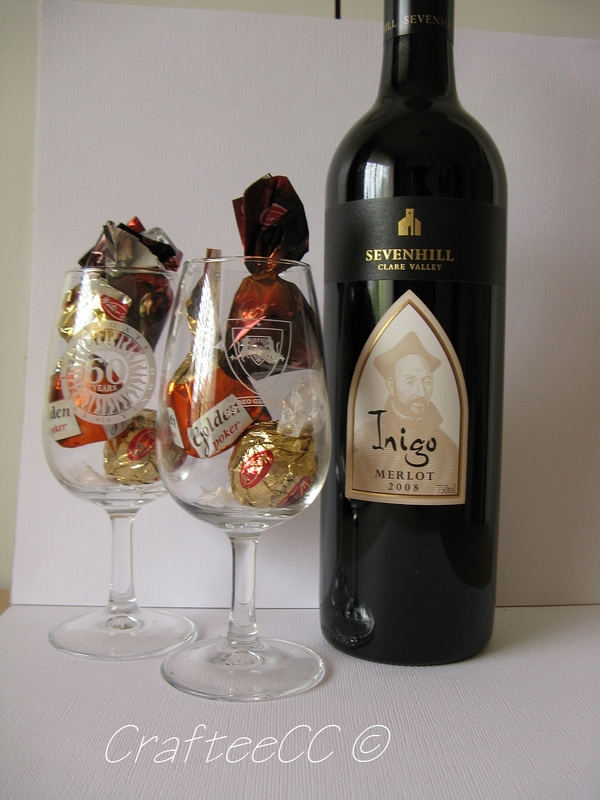 Anyway, to reward you lovely people, I have some blog candy. 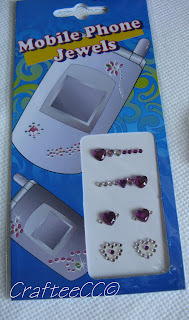 I didn't realise the Mobile Phone Bling was covered up when I took the first photo, so here is a close-up. 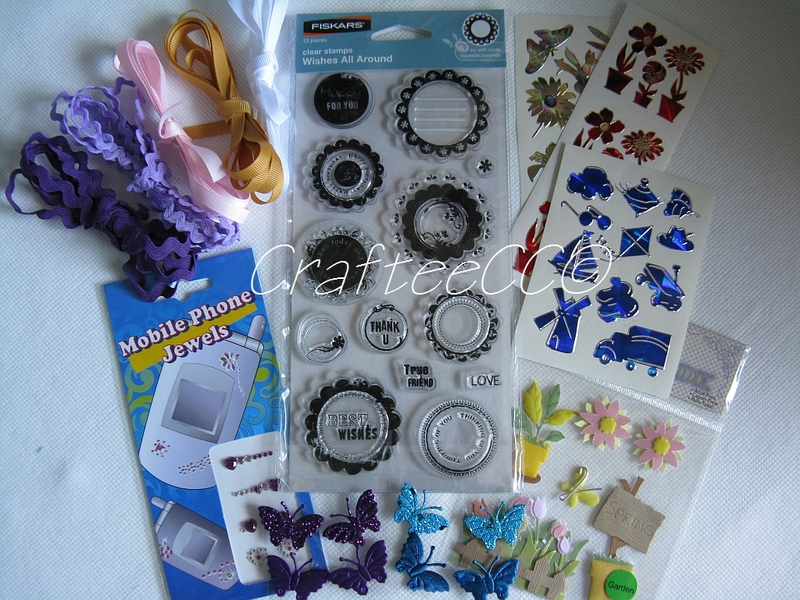 Fiskars Clear Stamps - Wishes all round, approx 5 metres of ribbon (3 x crossgrain, 2 x ric rac), 3 sheets holographic stickers, sticky butterflies, Mobile Phone Bling, Garden flowers embellishments. 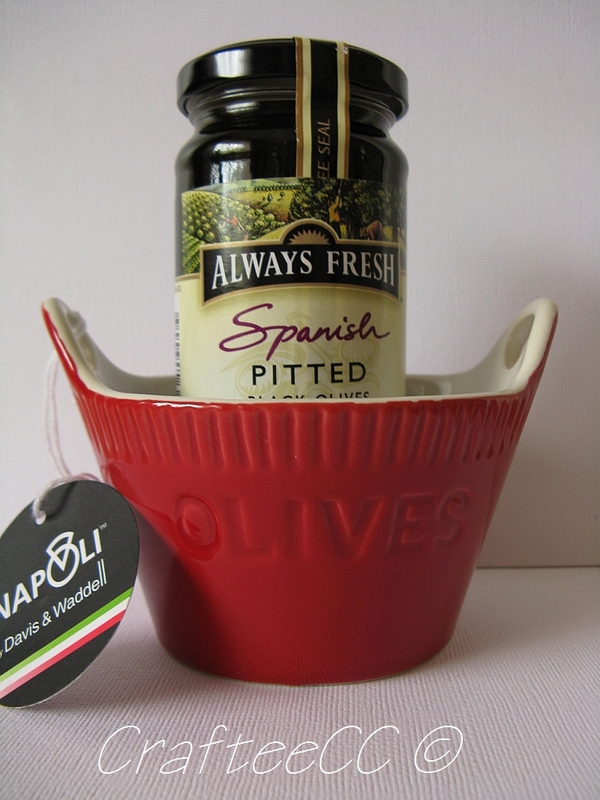 Some more 'stuff' will be added during the next week or so. 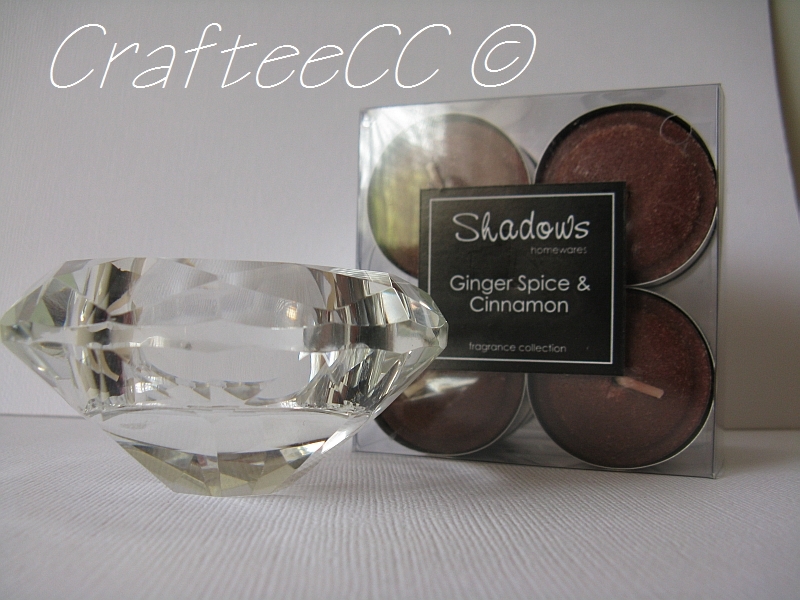 To be in the running for this blog candy, just leave me a comment on what your favourite blog post of mine has been. If you have just recently come across my blog, and like what you see, then become a new follower, leave a comment and be in the draw - Blog Candy is open to all followers of my blog. Draw will close at midnight, 30th June 2011 (South Australian time), winner will be drawn 1st July 2011. Winner must be able to be contacted by email - check if you are a No Reply Blogger. MY CLOSET IS INFESTED WITH THEM. check out the new UnstampaBelles Challenge Blog - see post at top. 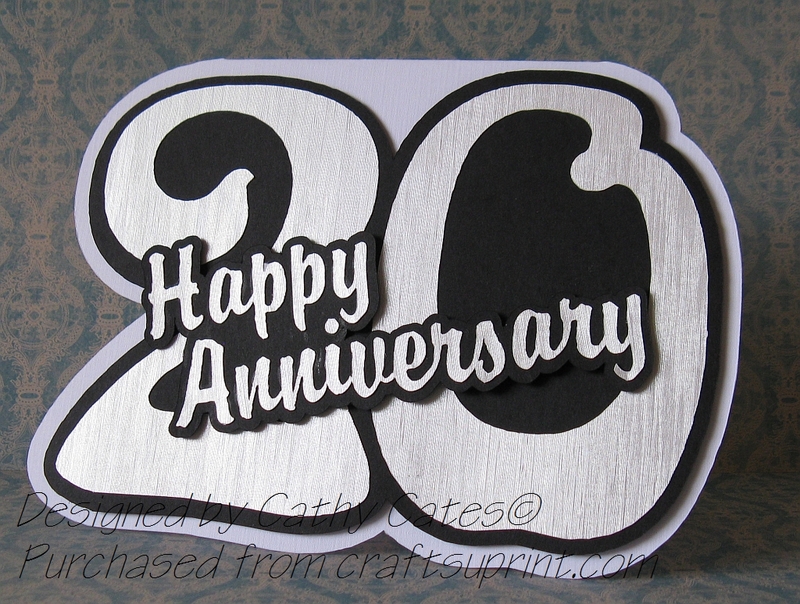 Some very close friends of ours recently celebrated their 20th Wedding Anniversary. 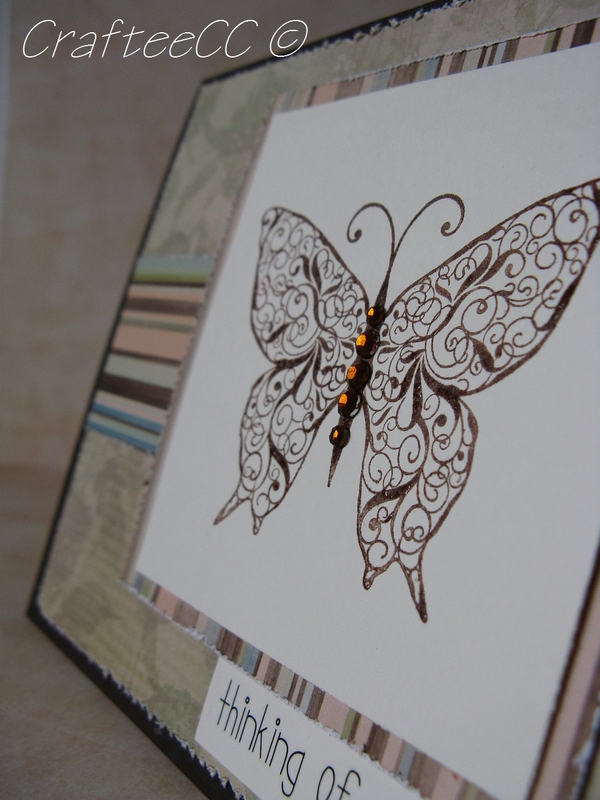 I can post a picture of the card I sent now that they have received it in the mail. 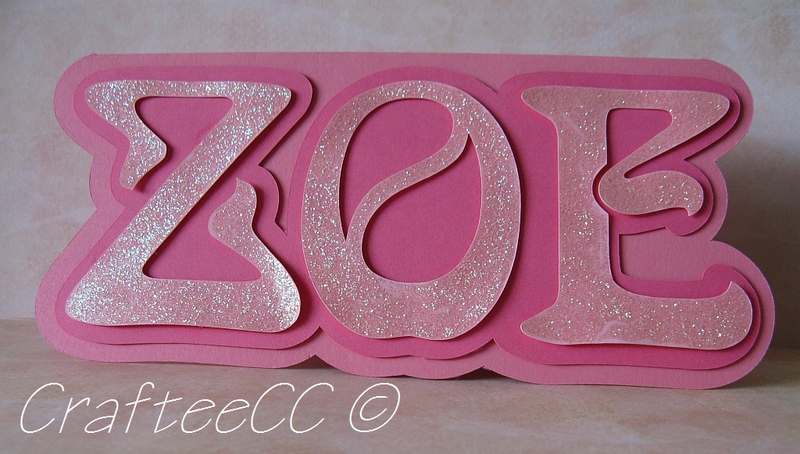 I know my friend has a quick look at the blog every now and then and I didn't want to spoil the surprise. 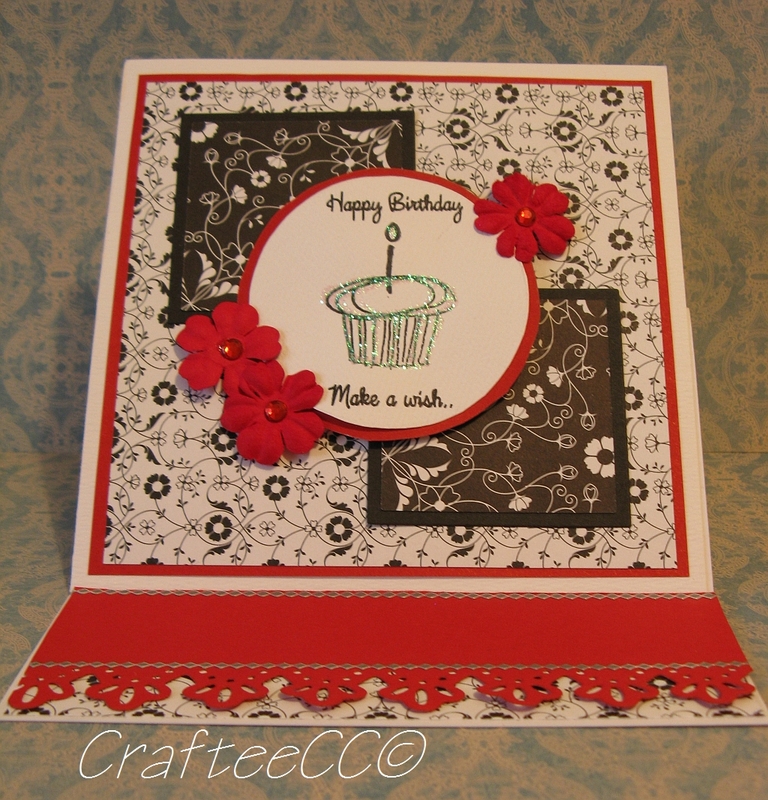 I have designed this card using my CraftROBO. FNSI (Friday Night Sew In) turned into FNCI (Friday Night Craft In) as I got motivated and inspired to do some cardmaking - although I did get to take up the jeans I intended for the Quiz Night [more on that later ;-) ]. 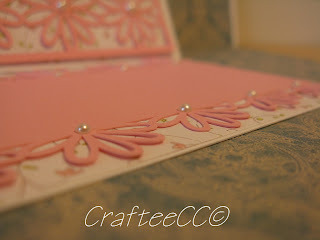 I have received swap cards from Anette for the CraftMad Easel swap. 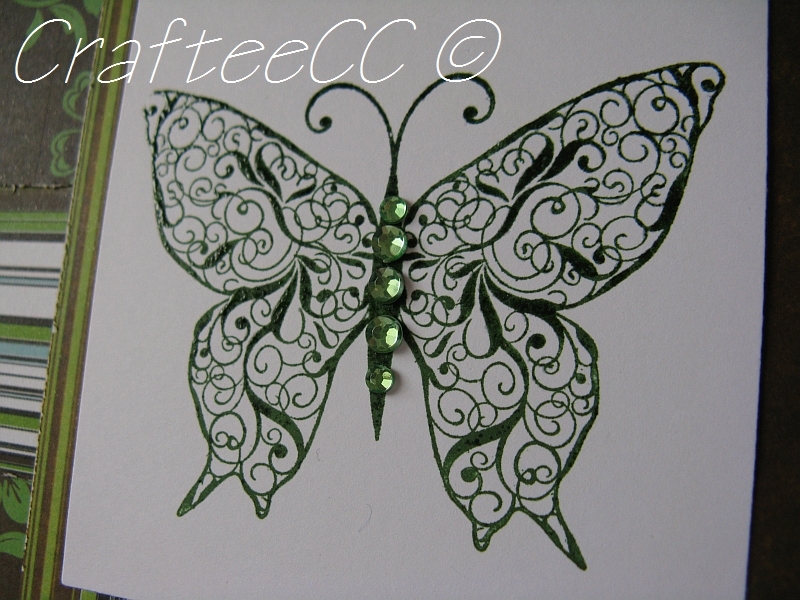 Next card was made using 'Flutterbys' by Stampin' Up! - one of my very first SU purchases. 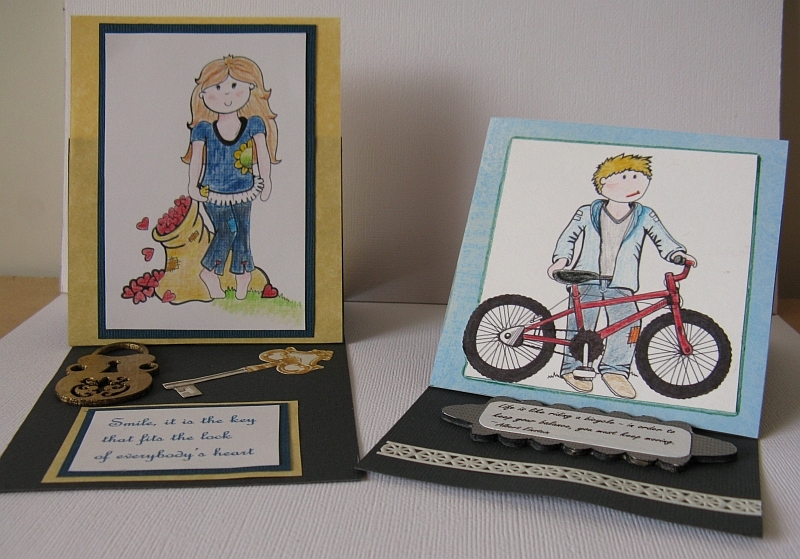 This set is a two step set and use of the 'The Stampers Buddy' linerupperer makes this process so easy. A CraftMad crafting friend lost her Nan just a few days ago, so I thought I would send this card to her. Sending hugs your way, Wendy. 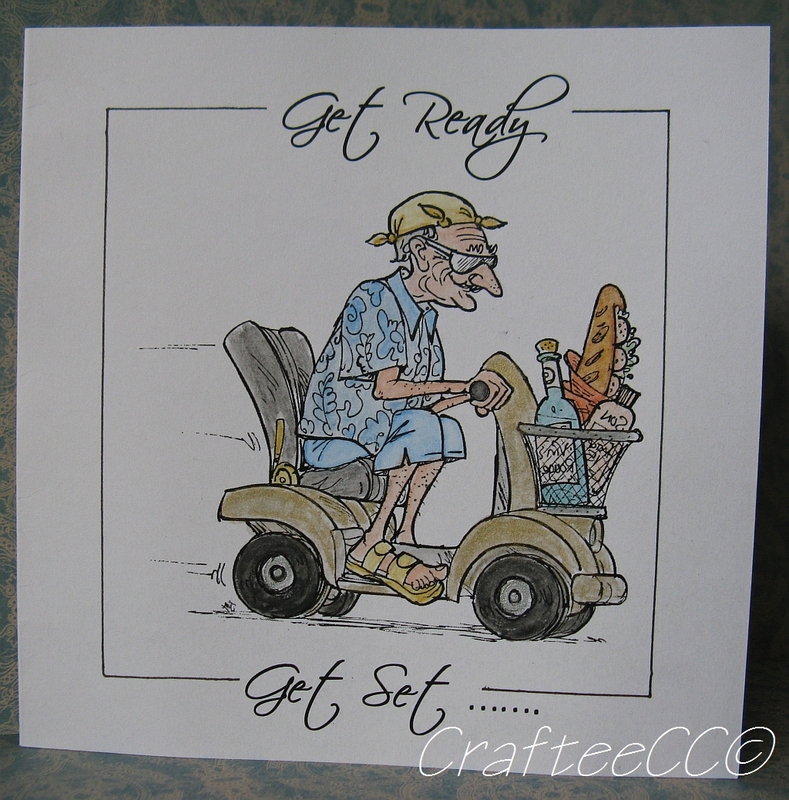 This card was one of my 'stand-by' cards. I don't have many left, and I need to make up some more. We have been going to this particular quiz night for my nephew's school for the last 10 years and it is always a good night. We got 2nd place one year, and have been 3rd and 4th on several occasions. There are usually about 18-20 tables with approx 10 people on each table. This year WE WON!!!! 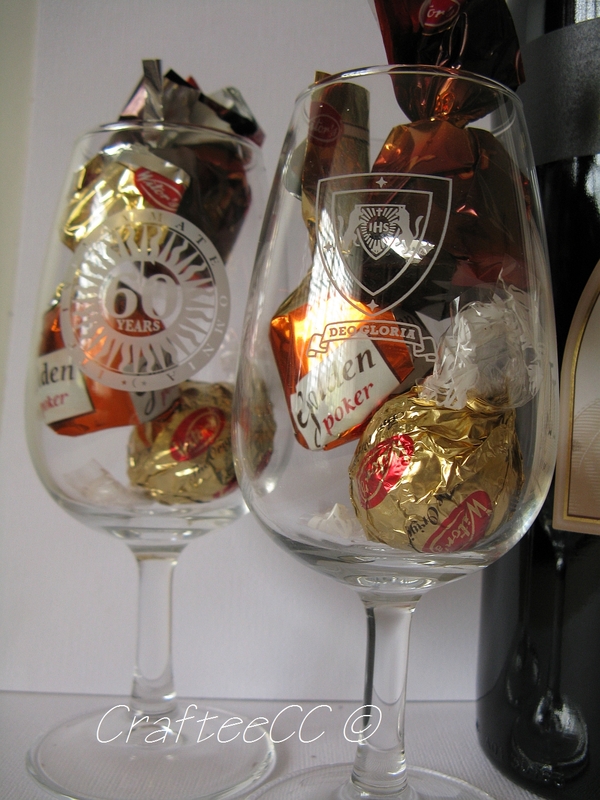 We get our team name engraved on a trophy and we each won some wonderful prizes. That's it from me for now - my labour saving device (washing machine) is beeping at me and needs my attention. 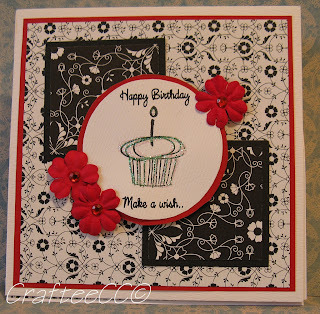 Don't forget to check out the new UnstampaBelles Challenge Blog - see post at top. 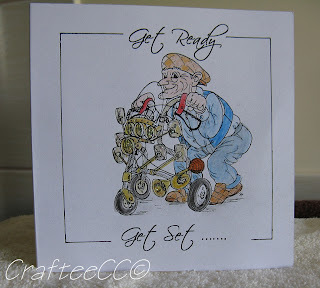 As mentioned in a previous post, my Uncle Frank (mum's brother) passed away on 18th May 2011. My Uncle lived in Connahs Quay, Wales. My Aunty (mum's remaining sister) is in Southport and has been a great help in providing what little information she knows. Being so far away is a real pain in the A#$%. My Aunty came out in 1982, 1985 with the whole family, and by herself again in 2004 & 2006, but I only really knew my Uncle from his stay here in Australia in 1993 and I would have loved to spend more time with him - I had been secretly hoping for a visit to UK to see him again, but that was not meant to be. In the last 10 years or so, his health had been failing, but he had a wonderful neighbour, Margaret, who helped him with things. If she was going down to the shops, she would pop in and see if he needed anything. Any other errands he needed, I understand she often provided transport and other sorts of assistance. I have never met this lady, but I felt the need to write her a short letter and thank her for all the help she gave Francis. Whenever we spoke on the phone, he always mentioned her and what she had done for him that particular week. I hope that Margaret knows how much Francis appreciated her assistance - it was more than he got from his own family. It seems there has been a bit of a rift in the family but I don't know any of the details. At least now, he is at peace and is not in pain anymore. 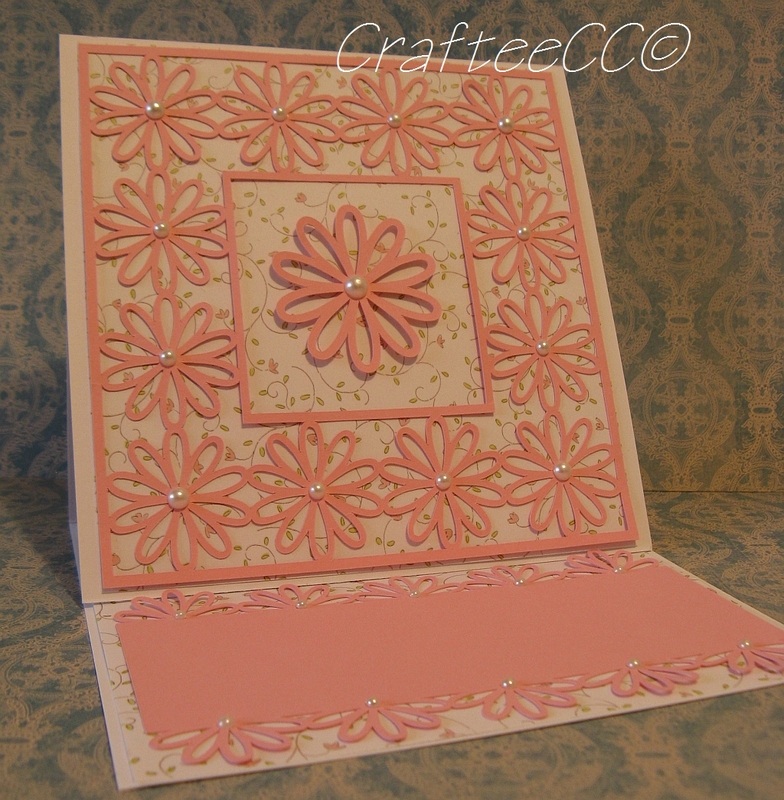 I had actually sat down on several occasions to make a card for Margaret over the last two weeks, but nothing came to me. Today, it just came together like a dream. 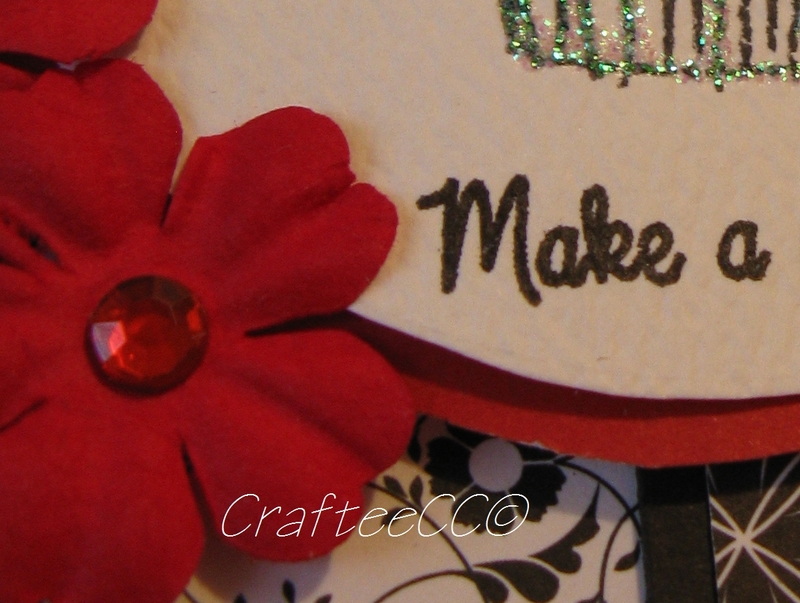 I was actually making a card for a card swap and inspiration hit ;-) Isn't that the way? 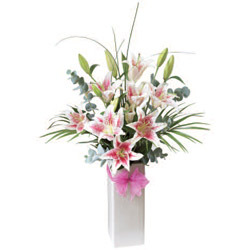 Have you ever ordered flowers via Interflora online? I hadn't done it before, so I was a little reluctant, but figured, it needs to be done. So I got online to Interflora and had a look around. 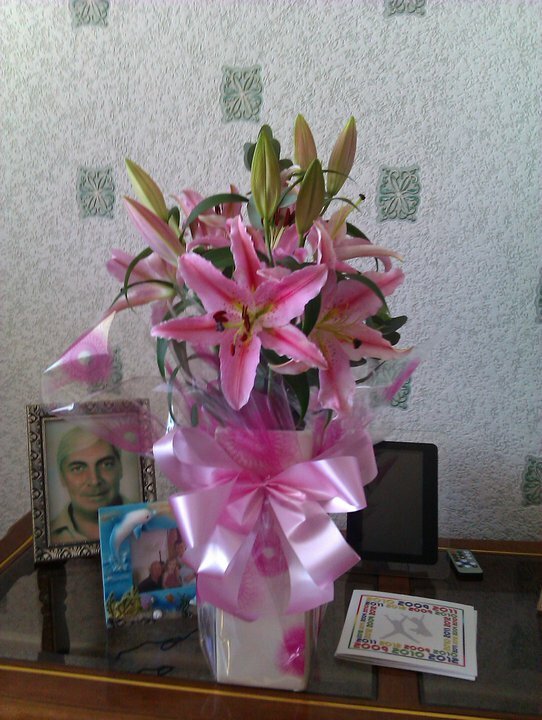 I selected the UK option to see what was available and finally picked the following arrangement to send to my Aunty. The following is what actually got delivered! I know I sound surprised, but whilst I was hoping I was going to get what I selected and paid for, I was honestly expecting a slightly inferior product. Thank you so much Interflora for restoring my faith in doing business online. 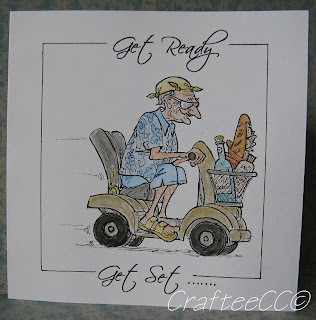 That's my rambling for now - I am off to my sewing room to get some sewing done - I need to take up some jeans ready for a Quiz Night on Saturday night. I enjoyed the card I made for my Dad so much, I did another one, this time using a different image. 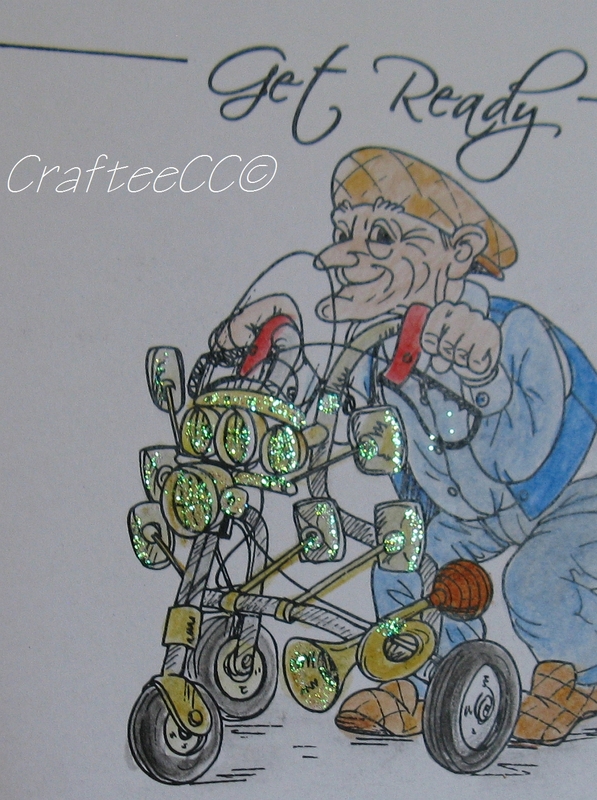 Just InkLined Albert image printed on white cardstock, hand coloured with watercolour pencils and a touch of kindyglitz added. I think every Dad/grand-dad I know, had those brown & orange slippers! 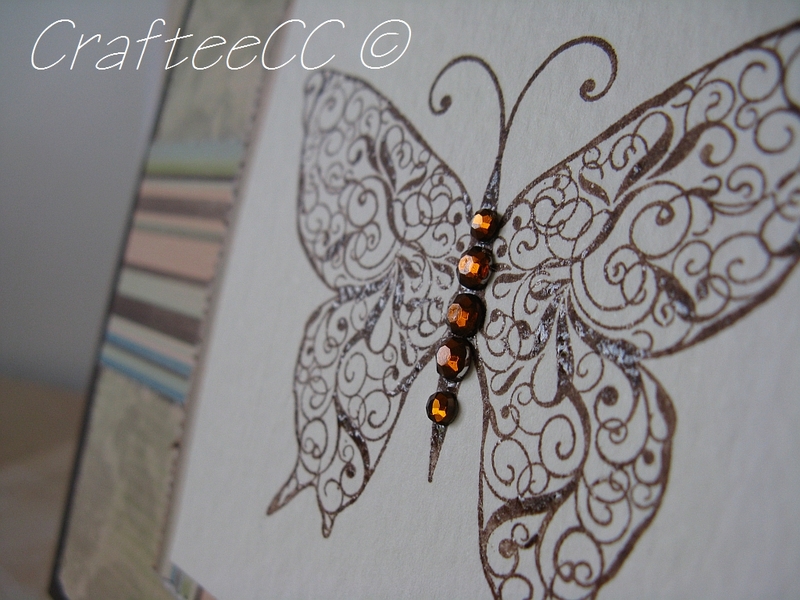 This card is for sale in my ETSY store. 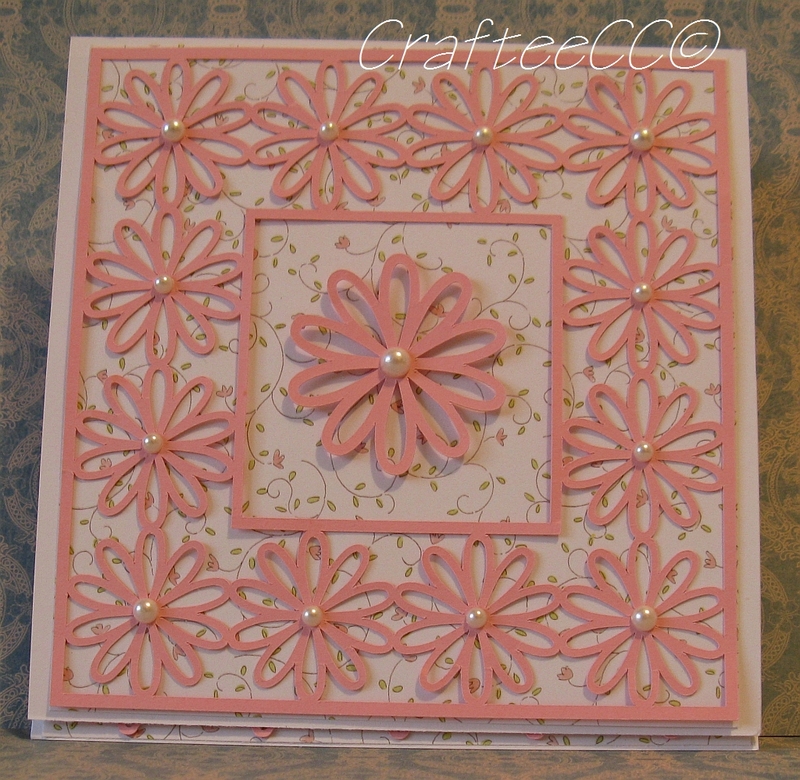 Over on Flashback Friday, the current challenge is to show your first summer colours card. 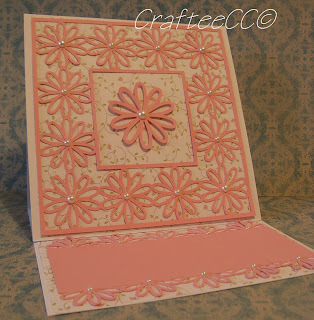 I don't do a lot of bright summer colours, I have noticed I stick with pinks a lot ;-) but here is a card that makes me feel bright and sunny whenever I look at it. 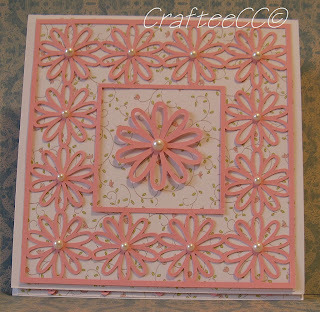 It was originally posted back in 2009 for the CraftMad May sketch challenge HERE. 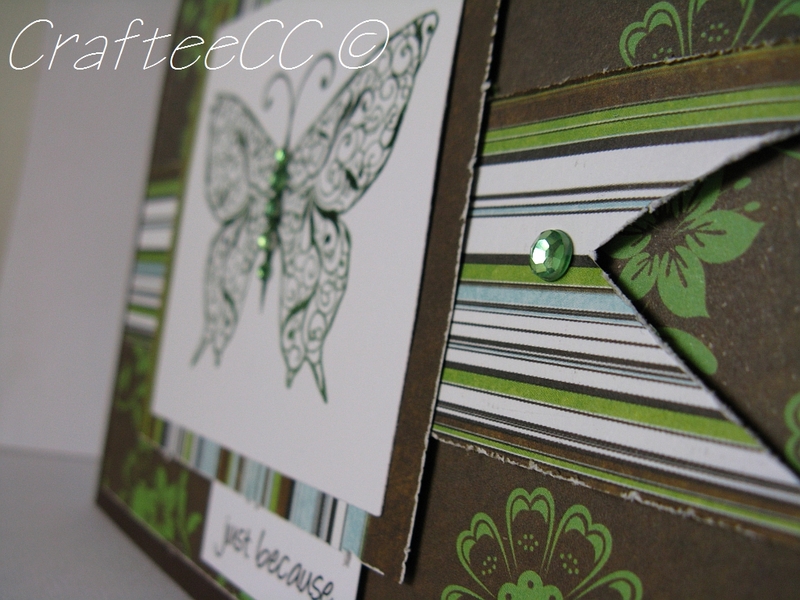 the colour combinations I had chosen were influenced by ColourCreate challenge of blue & green. 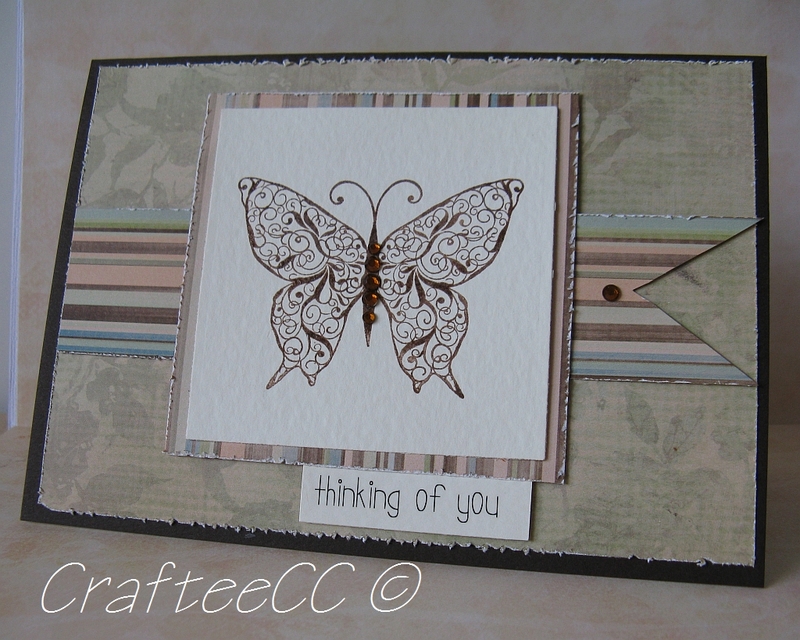 I would never have thought about using this colour combination, but I was cleaning out 'my stash' and they just fell out of the pile! 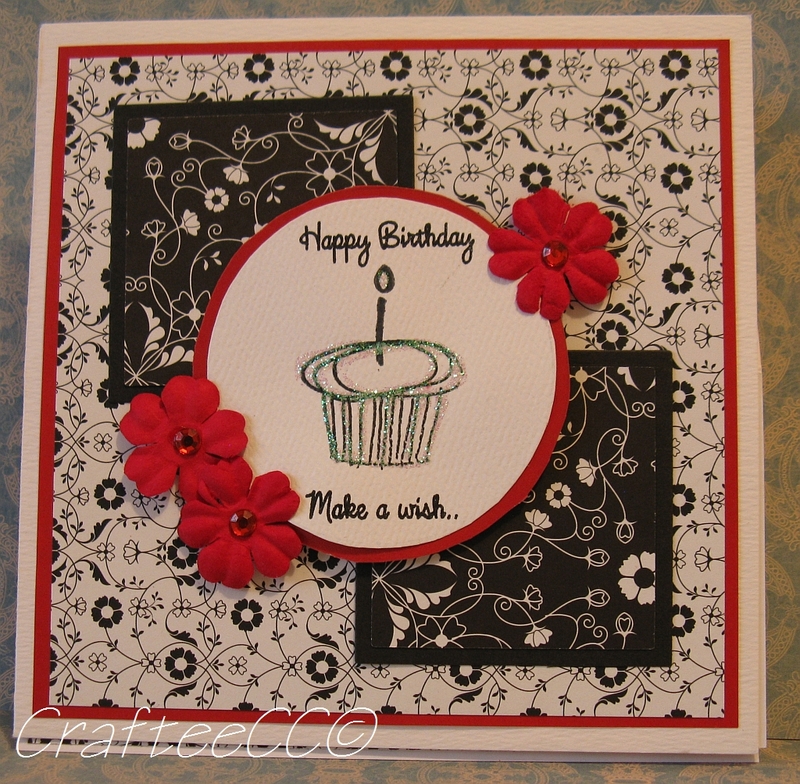 It was then I remembered seeing the challenge on ColourCreate - so two birds with one stone! 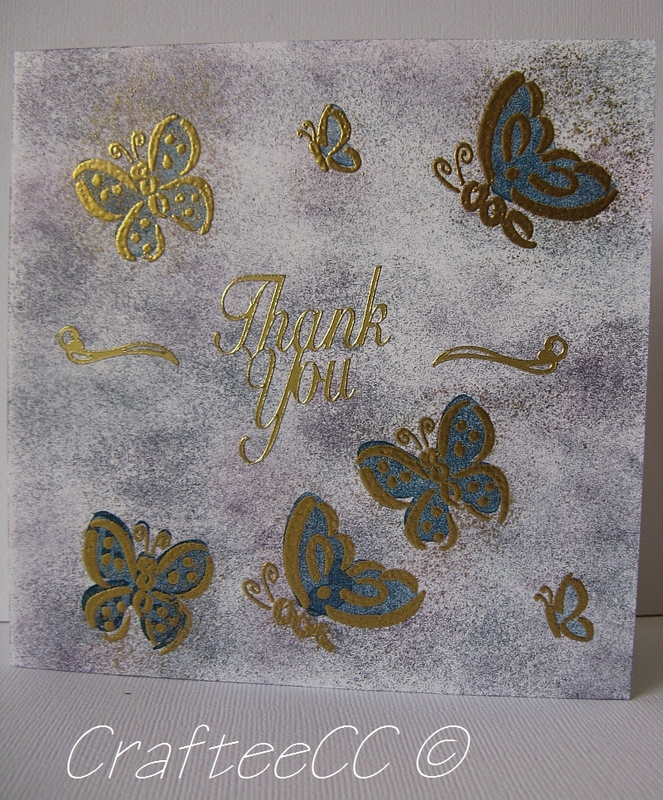 coloured background paper was layered on white cardstock. 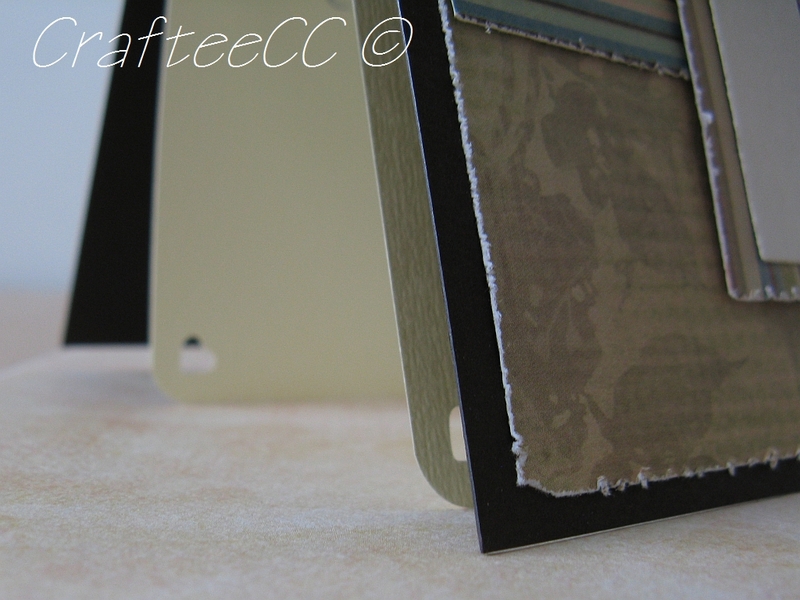 Green circles were cut out and layered on background using mounting tape. 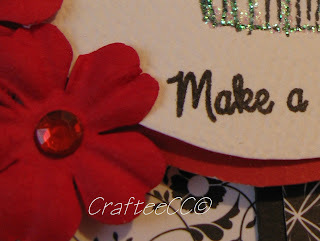 Silver organza ribbon placed across middle and rub-on sentiment placed on top of ribbon. Blue pearls added. 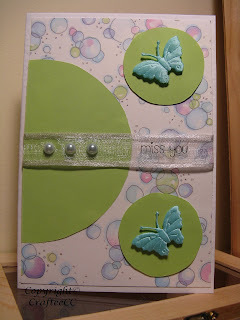 Blue padded butterflies added to side circles. 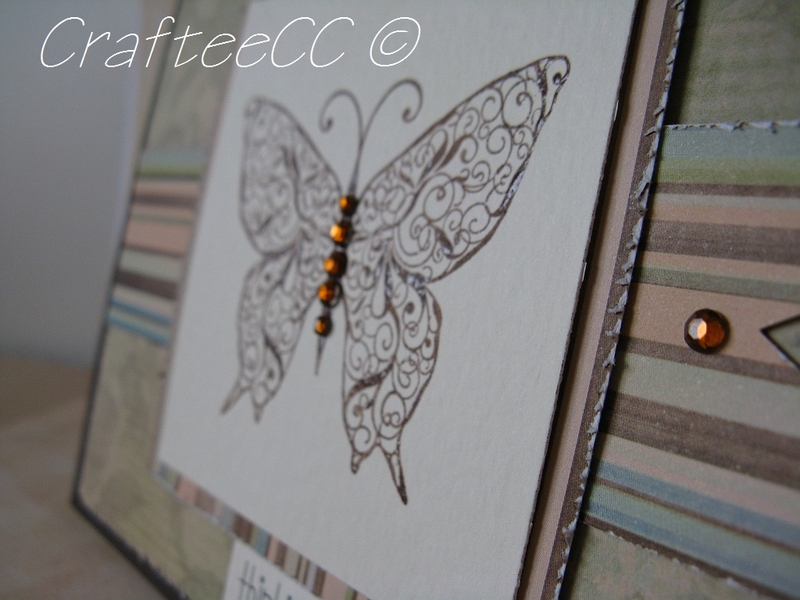 I quite like the simple layout of this card and it fits nicely with a new monthly challenge blog coming up - stay tuned! It was my Dad's birthday on the weekend and we went out for lunch. It was so nice to get together as a family - we don't do it nearly as often as we would like. Inside reads: Go! Have a Happy Birthday! 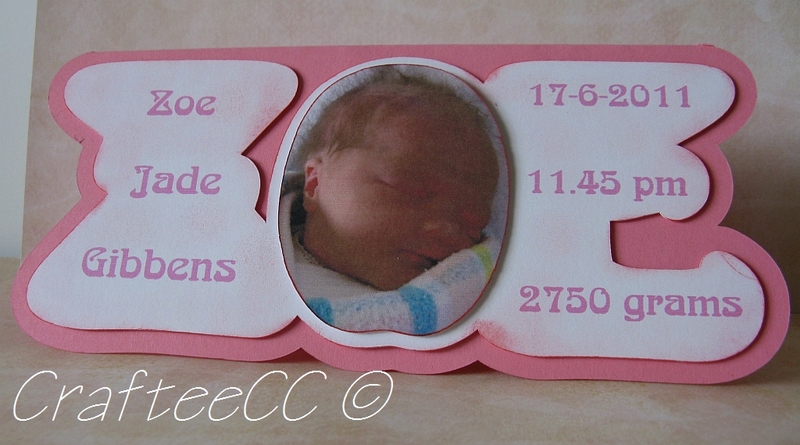 My partner over on Craft Mad has let me know that the cards I made for the May swap have arrived. 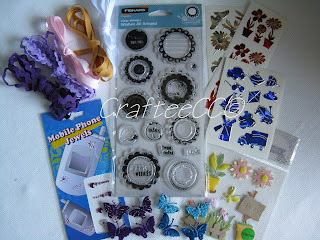 Here are some photos of what I sent. I mentioned in a previous post that some of my older cards had started falling apart. 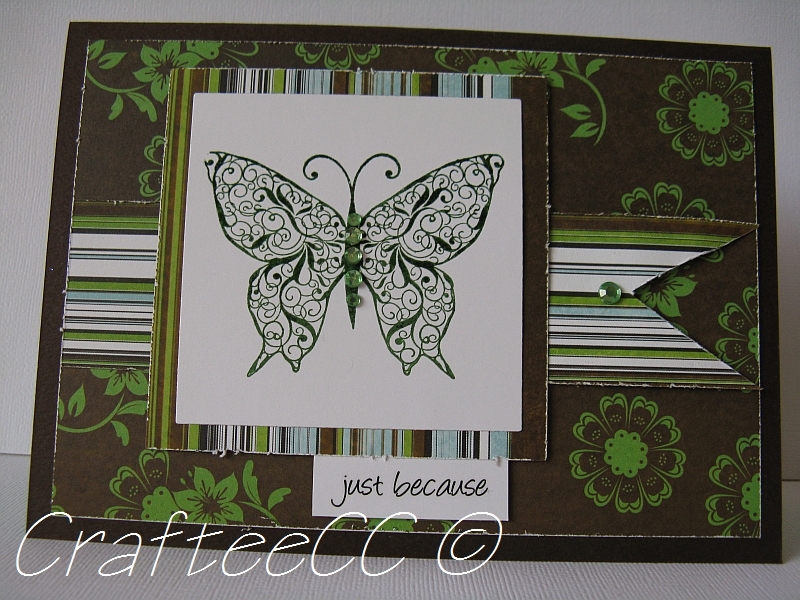 I decided to remake the above card and used the front to make a new easel card. 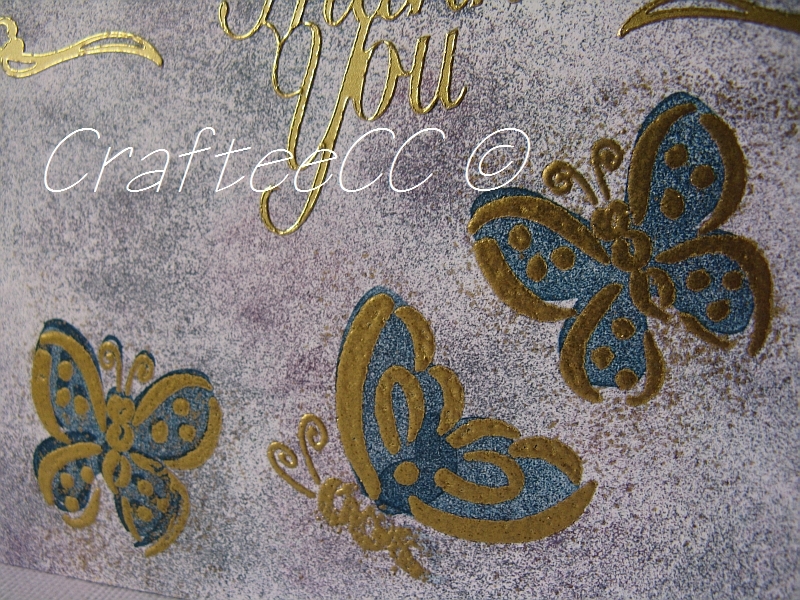 The easel section was created using the Cuttlebug and a Double Do Border die cut.